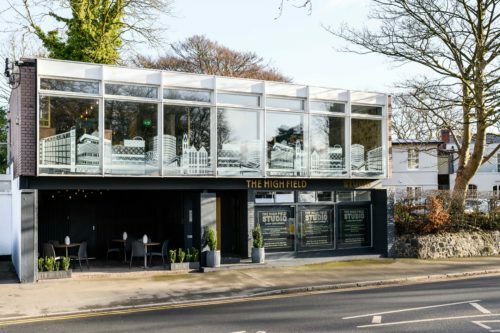 Peach Pubs, the company behind the successful High Field gastropub and The High Field Town House boutique hotel in Edgbaston has launched The High Field Studio, a new event space in the heart of Edgbaston Village, just a mile from Birmingham city centre on the Calthorpe Estate. The High Field Studio is an open, flexible space that can be tailored to suit any event. It is located within Edgbaston Village, which has rapidly transformed over the last 3 years in to a vibrant leisure and lifestyle location with a thriving atmosphere which continues throughout the day and into the evenings and weekend. The Studio benefits from natural daylight afforded by the floor to ceiling windows of the building, a former architect’s studio located immediately next door to The High Field gastropub. It also has a spacious, open layout which lends itself to a wide variety of functions. Peach has invested £300,000 in the refurbishment of the building, adding a private bar and creating a venue with up to 80 covers for informal events or 60 for sit-down functions. A mix of opulent brushed gold and rich teal fittings, deep blue leather banquette and vintage style rosewood seating offset by geometric prints in soft grey create an interior that is equally suitable for birthday celebrations, weddings and Christenings as well as for business meetings and conferences. Guests can book the space of their choice in the elegant bar or eatery or take over the whole of the studio on an exclusive basis. Either way, The Studio is free to hire (subject to a minimum spend) and offers a range of quality food and drink, from hot and cold all-day party menus through to breakfast and deli plates for grazing. A wide range of premium spirits is also available, alongside Peroni, Becks and Eastcoast IPA on tap, bottled beers and ciders and a good selection of award-winning, quality wines. Plenty is available in party size magnums, as well as spirits by the bottle, cocktails to share and classic cocktails by the glass, or guests can devise their own drinks packages to suit their event. 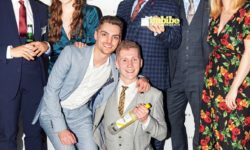 Managing The Studio is Peach partner Sarah Robinson, who says, “Great parties happen in great spaces and this is most definitely one of them. Not only do we have a really open, versatile space that simply looks amazing, we can be the ultimate party hosts to throw any kind of party from informal weddings, lunches, dinners, DJ’s and dancing. We’ve got it all covered,” she says. Peach is planning to hold regular pop-up events at The Studio as well as screen the Six Nations Rugby Championships. 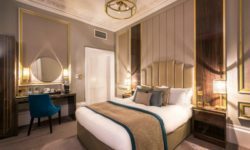 Guests booking the venue can also stay at The High Field Town House, the 12 bedroom boutique hotel adjacent to The High Field gastropub next door. 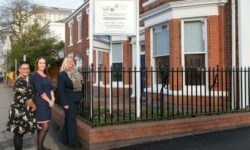 The High Field Studio is a short ride from Grand Central Station, the Barclaycard Arena and Symphony Hall, in the centre of Edgbaston, Birmingham. More details are available by calling 0121 270 7090 or emailing highfield.studio@peachpubs.com.